Not only has this sport been dubbed as ‘The Greatest Sport Ever Invented By Man’, but it is also one of the most unique and fast-growing sports in the world today. Ultimate Frisbee – or commonly known as Ultimate these days – is a competitive, non-contact, self- refereed team sport played with a round flying disc, weighing 175 grams. It is played by thousands of people (probably millions, by now) around the world and is expanding at a phenomenal rate. It mixes the best features of sports such as soccer, basketball, American football and netball into an elegantly simple, yet fascinating and demanding game. To compete at top level, Ultimate players require a high degree of speed, stamina and agility. Yet the simplicity of the rules means that it is easy and fun for newcomers to learn. Regular competition takes place at a local, national and international level and is usually governed by associations, such as the World Flying Disc Federation. The sport of Ultimate was born at Columbia High School in the 1960s. It was a tumultuous decade for America and the world as the war raged in Vietnam, and the country was coming to grips with civil rights and women’s rights revolutions. But, in one corner of the country, in Maplewood, things were changing for the better. Staff members of the school’s newspaper, The Colombian, and its Student Council developed an entirely new sport as a gag and an activity for their high school nights. The students adapted the rules of Frisbee Football that was initially intended for the ‘non-athletes’ of the school, and ultimately invented the fast-moving team sport we know today – Ultimate Frisbee. One of the most unique factors about Ultimate is that it is self-refereed and it distinguishes itself by what is called ‘Spirit of the Game’ which is the principle of fair play, honesty, sportsmanship, and the joy of play. This is what draws many people to Ultimate when they first start playing. What is respected in particular, is that Ultimate does not only help keep one fit, but it promotes camaraderie and solid friendships between people of various nationalities, cultures, ages and walks of life. 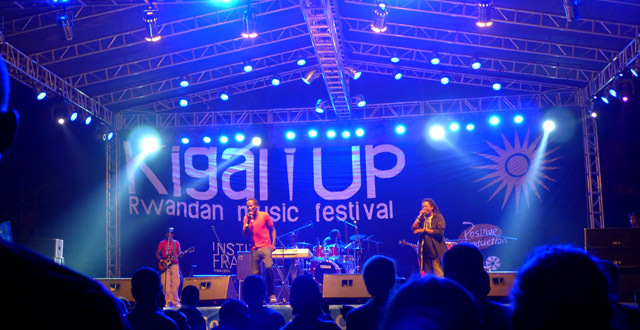 Kigali has had a regular group of players for several years. 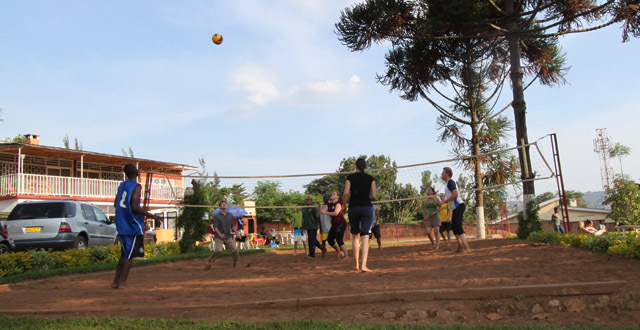 Pick-up games are held three times a week (Sundays at 3:30pm, and Wednesdays and Fridays at 6:00am) at the Cercle Sportif de Kigali. Kigali Ultimate comprises both expatriate and Rwandese men and women from all ages and who come from all walks of life. 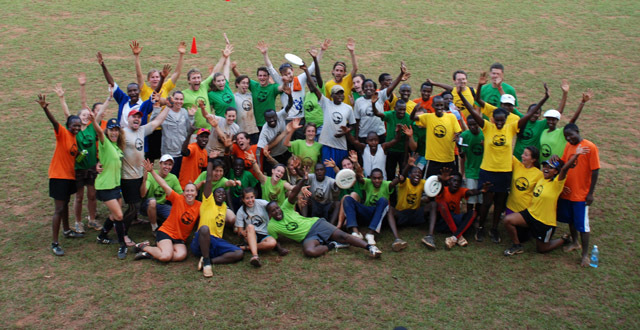 Kigali Ultimate participates, as a team, in regional tournaments in East Africa every year and are excited to be able to host its own tournament, the Kigali Ultimate Tournament each year. This post was written by members of the Kigali Ultimate club. im an american just came into kigali 2 weeks ago and would love to play this sunday! i live just outside the center of the city ( i’m calling center where Simba supermarket is) – how far away are the fields – can i get there by moto? how long does it take?